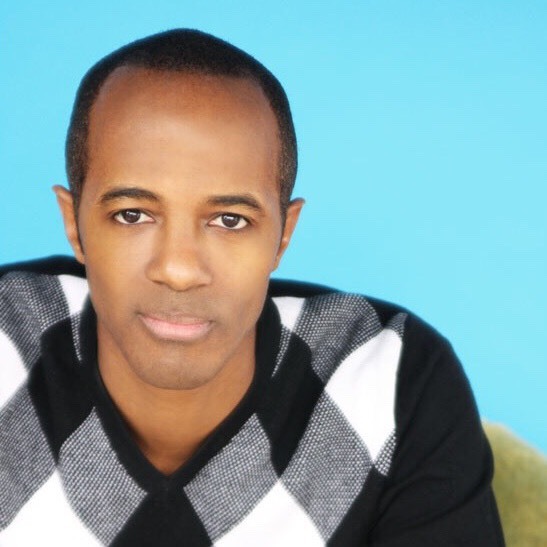 Jordan Black is a writer and actor born and raised in Kankakee, IL. A former writer for “Saturday Night Live,” who has appeared in such shows as “How I Met Your Mother”, “2 Broke Girls”, and “Key and Peele” among many others including several appearances on “Community” as “Dean Spreck” the dean of City Community College. Black is also an alumnus of The Groundlings, a Los Angeles-based improvisational and sketch comedy troupe and theater. Although he retired from the theater’s Main Stage Company in the mid-2000s, Black created and regularly performs in the Groundlings hugely successful improv show The Black Version. Jordan Black is a multi-hyphenate born and raised in Kankakee, IL. He is a former writer for Saturday Night Live and the creator of the hit all black improv show The Black Version that ran for 5 sold out years at the world famous Groundlings Theater and now at the world famous Largo Theater both in Los Angeles. He is also the producer and writer of The Black Version viral shorts on YouTube as well as the director of the viral hits Ask A Slave and Go Go Boy Interrupted. He is a writer for the new hit sitcom Uncle Buck starring Mike Epps and Nia Long as well as being the multi-hyphenate creator-producer-director of SHADED for Fusion’s new digital platform F-Comedy. His acting credits include “How I Met Your Mother”, “2 Broke Girls”, and “Key and Peele” among many others including a recurring role on “Community” as “Dean Spreck” the dean of City Community College and the Christopher Guest film “For Your Consideration”. You may now stop reading this. Jordan Black (2017) This fall you can catch Kankakee, Illinois native Jordan Black in upcoming episodes of HBO’s “Curb Your Enthusiasm” and “Ballers”, the new Disney Channel show “Raven’s Home” as well as a recurring role on the YouTube Red show “Foursome”. He’s currently a series regular on Pop TV’s Return of the Mac starring Joey Macintyre of NKOTB. Jordan has been a series regular on MTV’s “Punk’d” and “The Lyricist Lounge”, Comedy Central’s “Halfway Home”, Fox’s “Riot” , and the WB’s “On the Spot” as well as host of E’s “Star Dates”. He’s also had recurring roles on the Fox show “Freeride”, Nickelodeon shows “True Jackson, VP” and “Marvin Marvin”, TV Land’s “Nobodies”, Comedy Central’s “Key and Peele” and on NBC’s “Community” he recurred as Dean Spreck the dean of rival City College. He’s been featured several times in sketches on “The Tonight Show with Jay Leno” and “The Jimmy Kimmel Show”. Jordan has also guest starred on several shows including “Arrested Development”, “The Mindy Project”, “2 Broke Girls”, “Childrens Hospital”, “How I Met Your Mother” and many, many more. In animation Jordan has recurred on “South Park” and “The Cleveland Show” among others and guest stars in the upcoming season of “American Dad”.